What nine key elements make a good boss? What do employees expect of him or her…? What do you expect of him or her…? What nine key elements make a good team? What do team members expect? What do you expect of a team…? What nine key elements make a good partner*…? What do you expect of a partner…? * internal partner in the sense of teams of different units or departments within the same organisation or sharing a common overall objective. 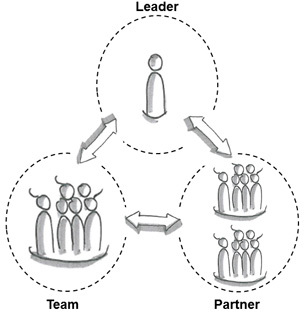 The LP3 PARTNER model is also applicable to external partners, for example suppliers, contractors or associates. In this case, the categories are weighted differently.